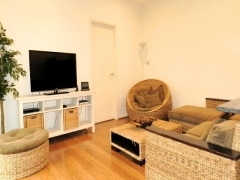 STYLISH 2 STOREY HOME WITH A/C AND LOVELY TIMBER FLOORS! 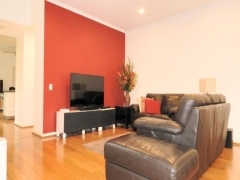 This beautiful home has quality timber floors throughout and boasts ducted A/C. In tip top condition, this home offers 3 spacious bedrooms, all with built-in robes and the master bedroom with an en-suite bathroom. 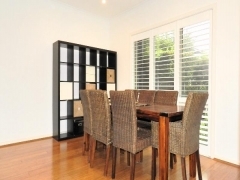 Quality plantation shutters across all front windows. A large double living dining room with subtle downlighting flows out to the separate family room with North facing windows leading to the private leafy garden. A beautiful modern kitchen with granite bench tops and quality stainles steel appliances includes a dishwasher. There is a separate study or chilrdens TV room plus extra storage. A separate internal laundry has access to the rear garden. There is off street parking for 1 car. 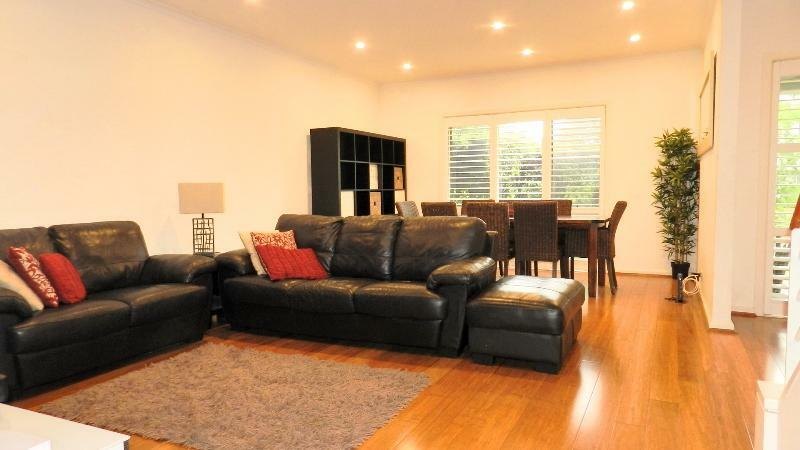 This home is located in a quiet cul-de-sac with no through traffic and easy access (270m) to Newington largest park!